'Rubber ducky, you're the one, you make bath time so much fun!' 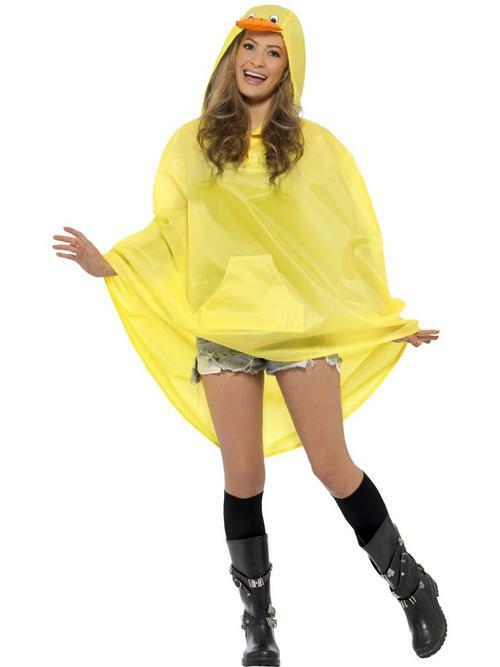 Hear your party guests singing this when you wear this fun adults Duck Party Poncho. This yellow shower resistant poncho includes an attached hood with a duck beak and eyes, as well as a matching drawstring bag. 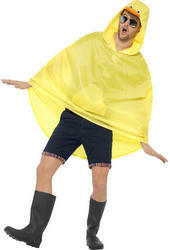 Swim and quack to use the special duck crossing sign on your way to animal themed fancy dress party.